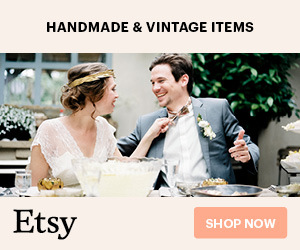 Must See, The Best Alternative Sneaker-Style Wedding Shoes! My favorite thing about TOMS is that when you buy a pair of shoes, they donate another pair of shoes to a child in need. I worked in their Mall of America store for a year and as a full-time employee, you get to go to one of the countries we give in and put the shoes right on the feet of the children. They even give in the USA! With TOMS classic shoes, I always size down half a size from my normal size. These will fit a little snug but will stretch out. 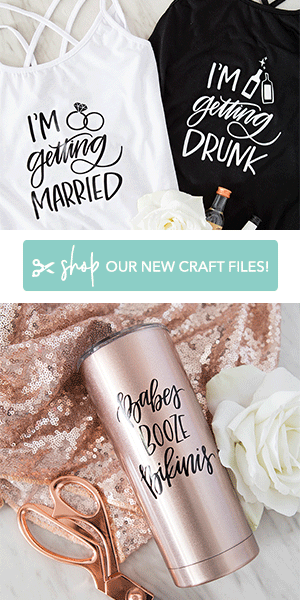 Wear them around your house for a few days before you wear them on your big day! The best part is they are on sale! Buy yours here before they sell out. Buy your lace TOMS here. Vans are a classic skate shoe that I adopted in my middle school days when I tried to be punk. Years later I still wear my vans but ditched the skateboard. Here is one of my favorite’s from their satin line. Buy your satin Vans here. Rifle Paper Company creates beautiful flower prints that just make you happy. My journals, agendas, calendars, and even coasters are all Rifle Paper Company. Next on the list of everything Rilfe, shoes. 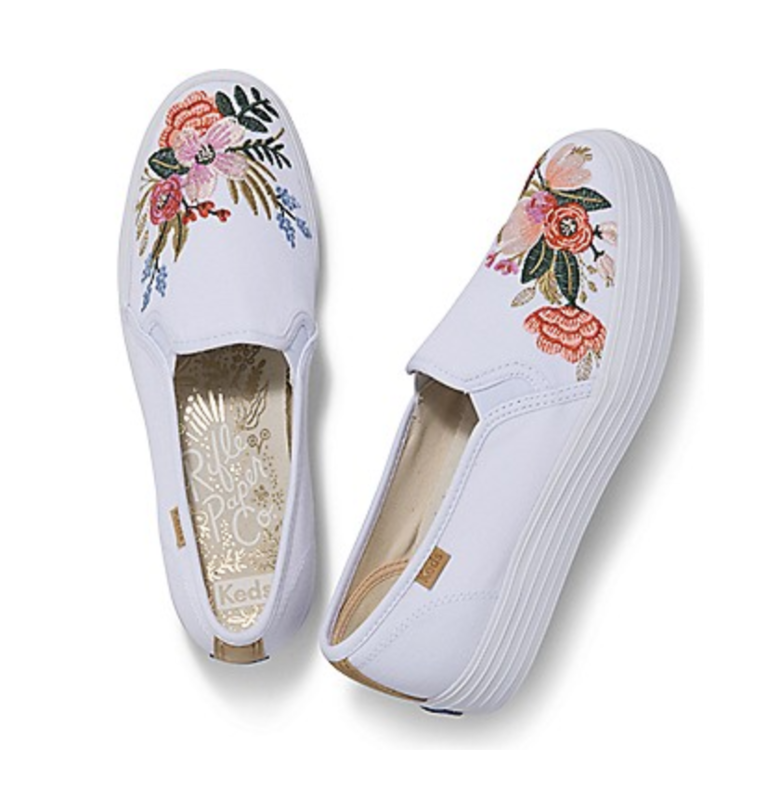 Buy your embroidered Keds here. Buy your Rifle Paper Company Keds here. Converse are a classic alternative for wedding shoes. Many of my friends have worn the classic white All Star while their husbands wear the all black. 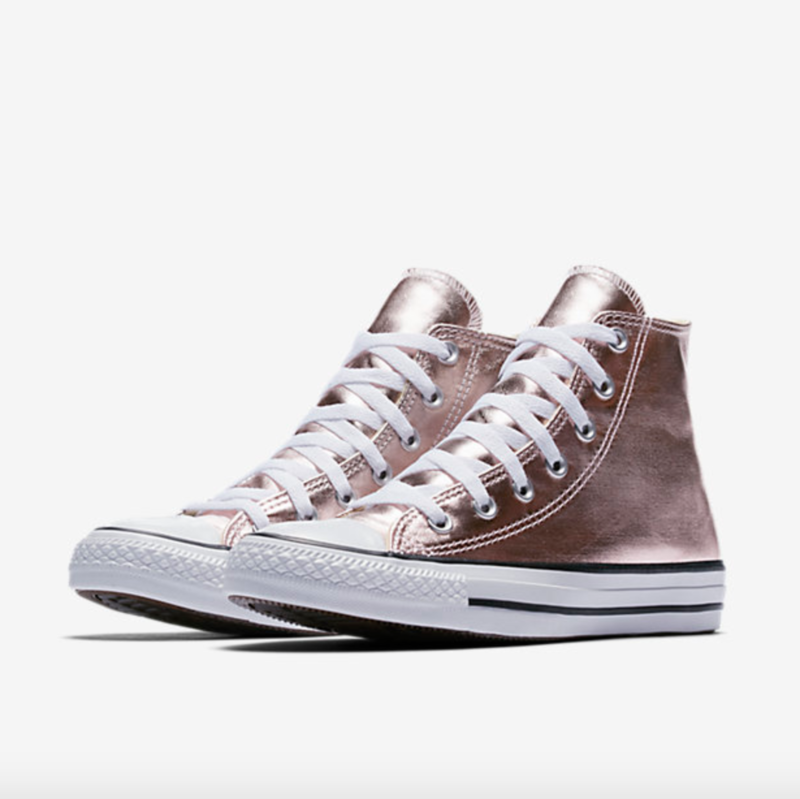 For a little more shine check out a metallic All Star! Buy your metallic Converse here. 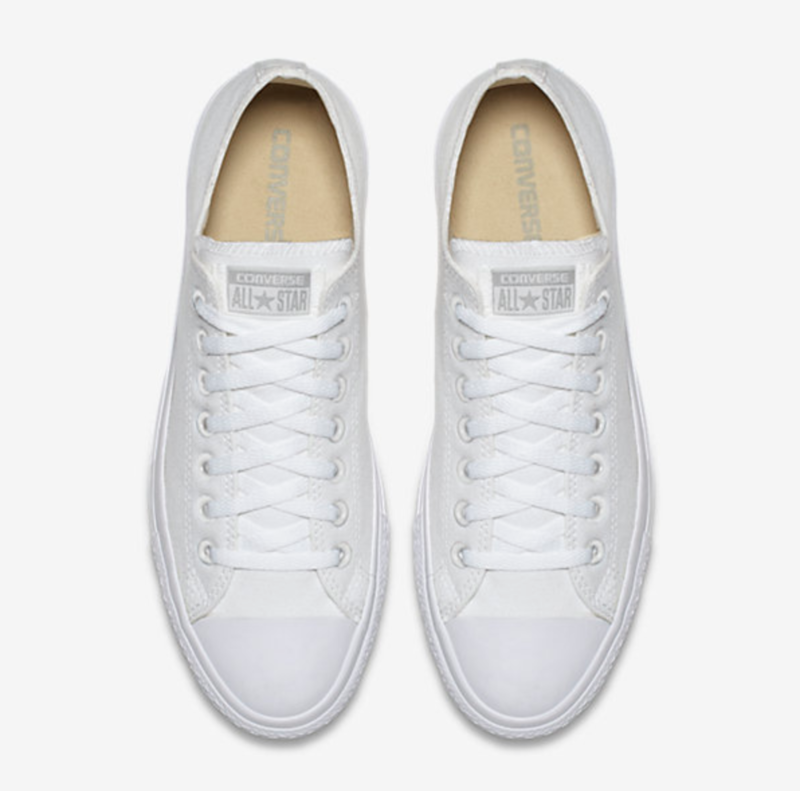 Buy your all white Converse here. 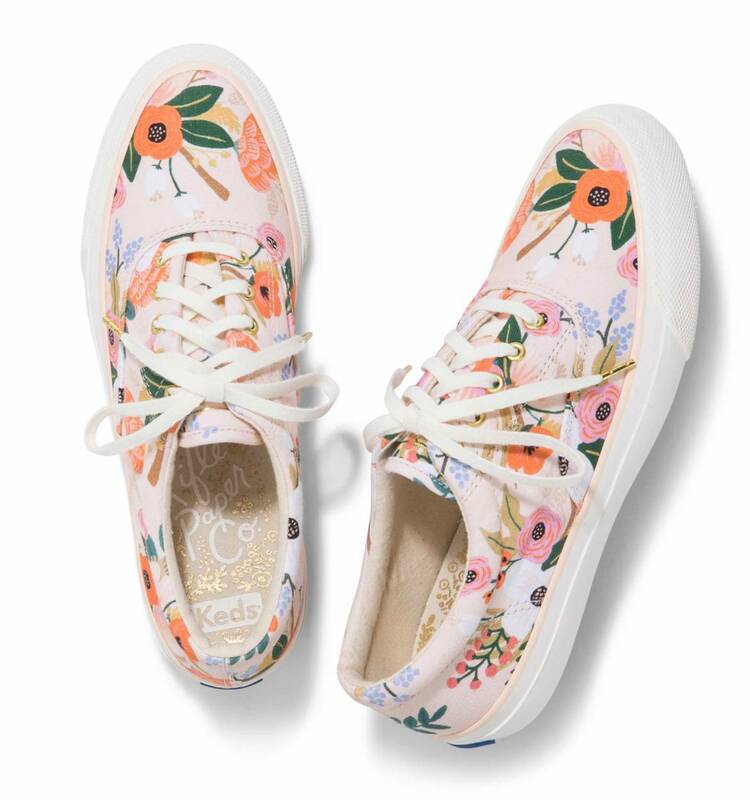 I’m maybe leaning towards the Rifle Paper Keds… or the TOMS glitter. 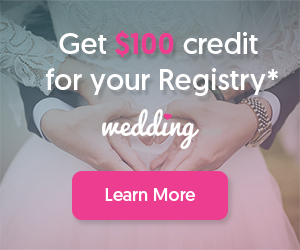 What shoes should I pick for my wedding day dancing shoes? Let’s hear what you think!